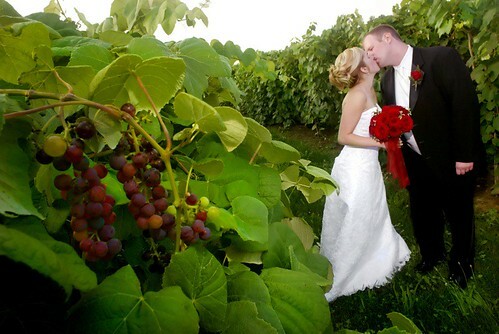 Award winning photographer serving Louisville, KY and Southern Indiana, specializing in full-day wedding photography. Grant, the groom, tore up the dance floor with his rendition of Michael Jackson's moves to "Billie Jean" during the reception at Kai's in Jeffersonville. Grant and Lupita share the dance floor one last time during their reception at Kai's in Jeffersonville, Indiana. Wedding guests and family all joined in to circle the couple and to wish them good fortune. You should be dancin' yeah. Music and dancing filled Kai's throughout the reception. It was a wonderful mix of American top 40 and Spanish music at Grant and Lipita's reception. Groom Reception The Brown Hotel Ballroom Fraternity Wedding Photography, originally uploaded by harmonweddings.com. 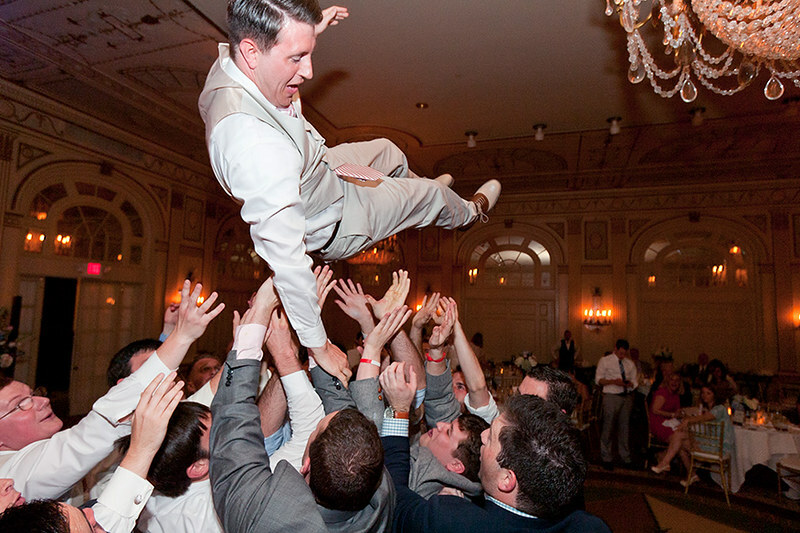 Matt gets thrown airborne by his fraternity brothers during his reception at The Brown Hotel. 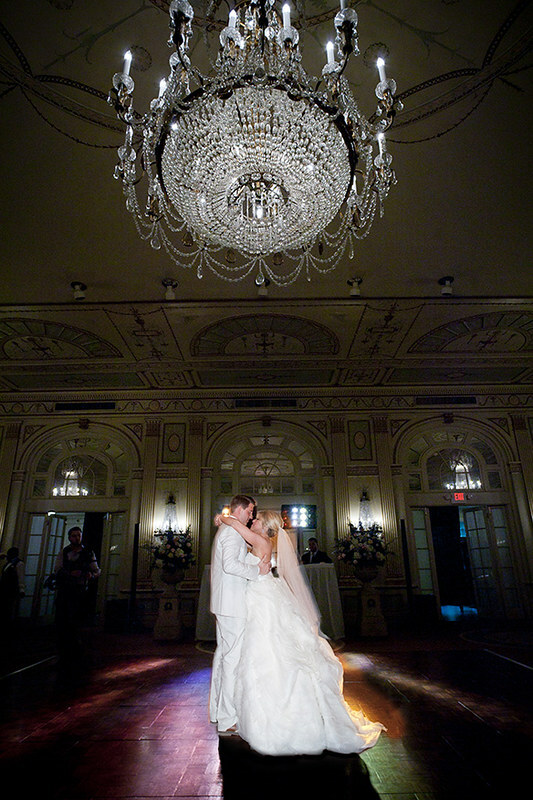 The Brown Hotel Ballroom wedding photography , originally uploaded by harmonweddings.com. Matt and Lauren stand in the center of the dance floor before making their entrance to the reception. BCLipps 1792, originally uploaded by harmonweddings.com. Newlyweds Cami and Blake share their first dance together as a couple. 300 Spring offers a large dance floor with DJ and full lighting service that sets the mood quite nice. Family and friends gather around to show their support for the couple. Untitled, originally uploaded by harmonweddings.com. 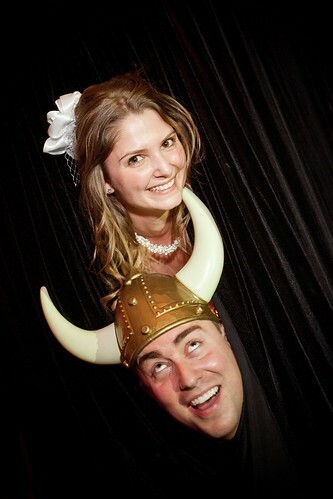 You've just got to love photo booths! Tim and Sarah parked one at their 300 Spring reception and it was very popular throughout the event. Grossberg 1653, originally uploaded by harmonweddings.com. 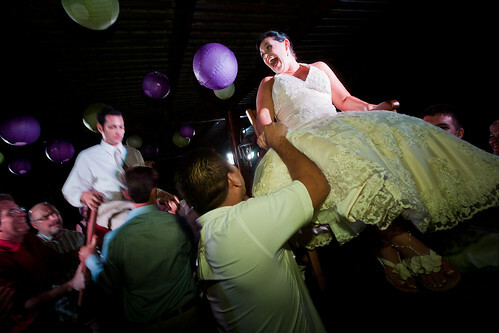 Daniel and Erica are lifted up by friends and other reception guests as they dance the hora on the beach-front deck. Grossberg 1614, originally uploaded by harmonweddings.com. You don't fathers lose it until the father daughter dance, Which is fine by me, and it makes for wonderful photographs. Erica's Father hugs her right after their dance during their beach-side reception in Cancun Mexico. Barksdale 1475, originally uploaded by harmonweddings.com. Katie is caught off guard and reacts on the dancefloor during her wedding reception at The Grand in New Albany. It was fun just sitting back and photographing the range of emotions on people's faces as the crowd moved and grooved. The couple had a very lively reception. C43E0761.JPG, originally uploaded by harmonweddings.com. 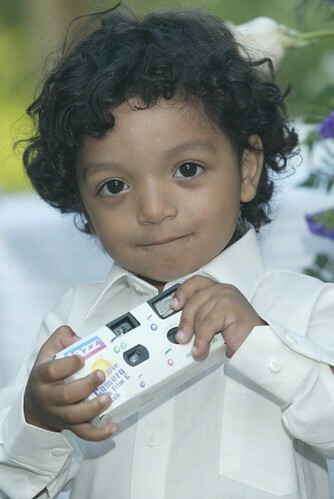 Kids always love to oblige the bride and groom by helping out with the disposable cameras. At a recent wedding, my child was doing the same thing. Only after he'd taken half the roll did I realize it was actually someone's camera, not one the bride and groom had left on the table to collect snapshots! How embarrassing! Luckily, it was a member of the extended family, and everyone got quite a laugh out of it, but next time we take our children to a family wedding, I will ask before any of my kids touch a camera! Contact Stephen A Harmon, Louisville photographer, at 502-599-8483. Save $400 off any wedding package right now. Enjoy our Wedding Economic Stimulus Package! Brodsky 1052.jpg, originally uploaded by harmonweddings.com. 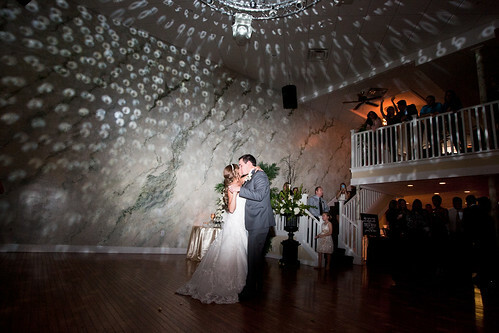 6.JPG, originally uploaded by harmonweddings.com. This entire wedding is just fantastic. Give Steve a call and ask to see it, f you're interested in having your wedding or reception at Huber's in Floyds Knobs. Steve has shot a lot in that facility and loves it up there. 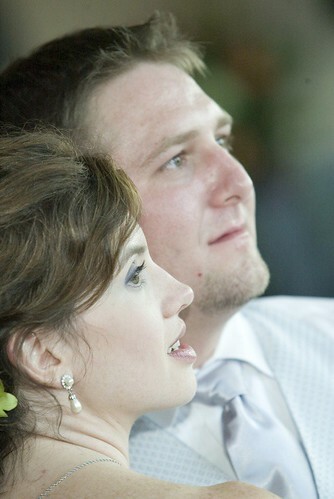 He has multiple outdoor weddings, especially at any Huber's location, to show. Brodsky 1077f.jpg, originally uploaded by harmonweddings.com. 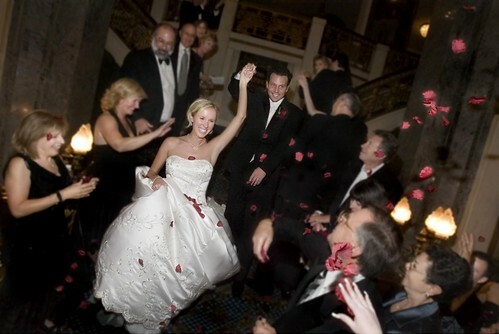 At the end of the reception, the guest threw rose petals. Beautiful Seelbach wedding. Call Stephen A. Harmon Photography, Louisville-area photojournalist at 502-599-8483. Emge 1484.jpg, originally uploaded by harmonweddings.com. 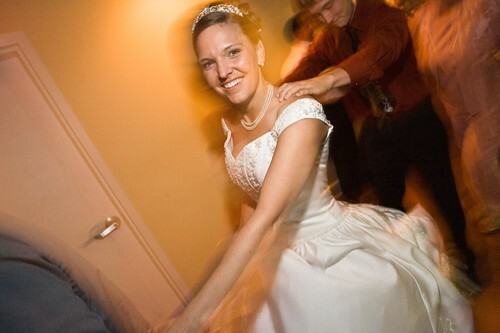 Dancers weave their way through a wedding reception, and the bride is all smiles and motion. McMullan 497.jpg, originally uploaded by harmonweddings.com. 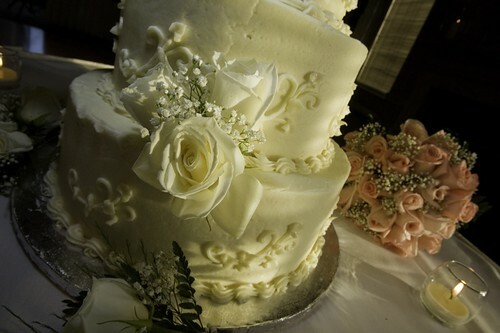 Ask about our wedding package special, good now through March 15! Weâ€™ve had a lot of response, to call today to see if your date is still available. This will be our last sale of the year, and there's only a few days left to take advantage of it. Come meet us Sunday at 300 Spring! This Sunday will be our last wedding show of the year, and we'd love to meet you. 300 Spring in downtown Jeff is a great location for weddings and receptions, and Mary Beth Zoller knows how to take care of brides and grooms. She puts on a very elegant wedding show. Her location is close to downtown Louisville, and accessible to all Southern Indiana friends and family, as well, so plan on stopping by. We'll be there with prints, albums, photos, etc., and we are running our last sale/special of the year, too--so you can't miss. Hope to see you there! 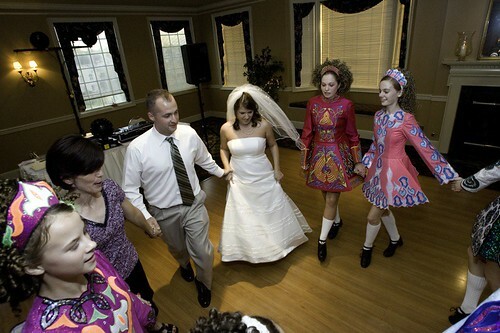 McMullan 557.jpg, originally uploaded by harmonweddings.com. Leggett 723.JPG, originally uploaded by harmonweddings.com. Joe and Kristen, two beautiful people, facing forward into the future.